The venerable Chris King No Threadset quietly added a little piece of new technology this year with GripLock. GripLock is a split-wedge system that locks the steerer tube in place to create an even more secure and durable system than previous King headsets. 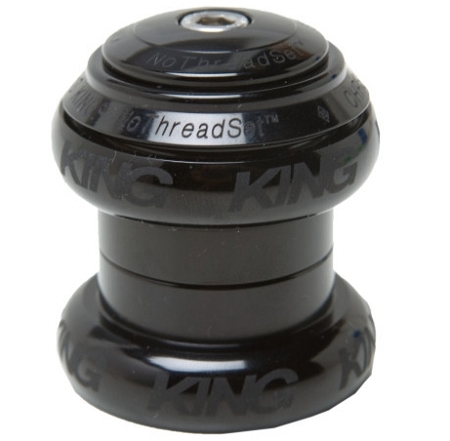 The No Threadset is completed with King's famed house-machined stainless steel bearings and ultra-durable aluminum cups and capped off with a ten-year warranty.